Posted by Lorea Thomson on Thursday, November 1st, 2018 at 3:00pm. Diabetes is one of the leading causes of disability and death in the United States. It can cause blindness, nerve damage, kidney disease, and other health problems if it’s not controlled. One in 10 Americans have diabetes — that’s more than 30 million people. And another 84 million adults in the United States are at high risk of developing type 2 diabetes. Knowing your diabetes “ABC’s” will help you manage your blood glucose, blood pressure, and cholesterol. Stopping smoking if you smoke will also help you manage your diabetes. Working toward your “ABC” goals can help lower your chances of having a heart attack, stroke, or other health related problems. Its as easy as 1,2,3 or A,B,C. A. for A1C test: The A1C test shows your average blood glucose level over the past 3 months. The A1C goal for many people with diabetes is below 7 percent. Ask your health care team what your goal should be. B. for Blood pressure: The blood pressure goal for most people with diabetes is below 140/90 - Ask what your goal should be. C. for Cholesterol: You have two kinds of cholesterol in your blood: LDL and HDL. LDL or “bad” cholesterol can build up and clog your blood vessels. Too much bad cholesterol can cause a heart attack or stroke. HDL or “good” cholesterol helps remove the “bad” cholesterol from your blood vessels. Showing your support and awareness for National Diabetes Month is a great way to give back to the South Florida Homes for Sale community. You can help educate people, support young people and adults with Type 1 and Type 2 Diabetes and make the month be all about them! 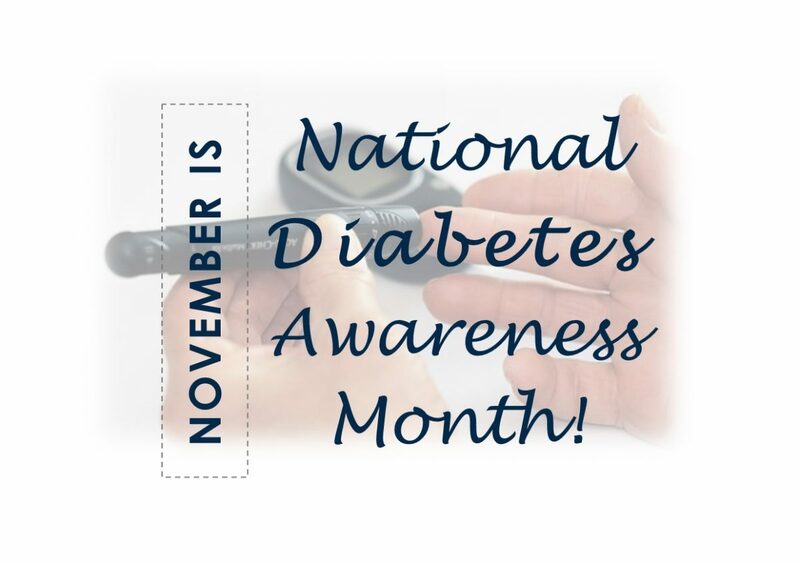 For more information please visit: National Diabetes Awareness Month.